Living Room Living Room Living Room Living Room Kitchen Kitchen Dining Room Dining Room Master Bedroom Master Bedroom Master Bedroom Master Bedroom Master Bathroom Master Bathroom Guest Bedroom Guest Bedroom Guest Bedroom Guest Bedroom Guest Bathroom Sunroom Thousand Hills Golf Course Thousand Hills Golf Course Thousand Hills Golf Course Moments away from all the Fun of Branson! When it comes to vacation rentals, this unit is a hole-in-one! 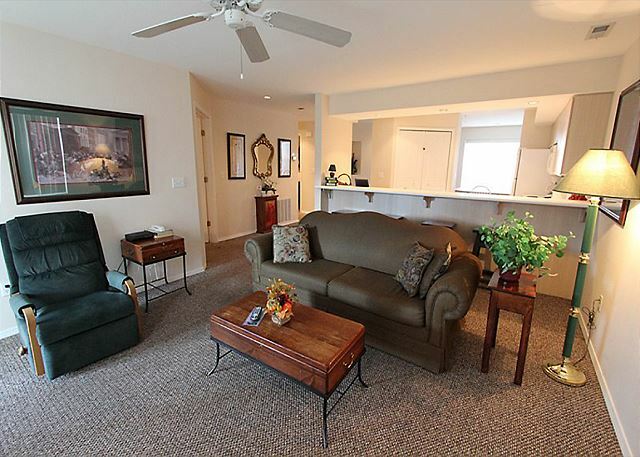 Walk right into this main level unit and take a seat by the 12th hole on the Thousand Hills Golf Course and enjoy the breeze in the private sun room! Keep in touch with all your friends and family at home with complementary wi-fi access and show them just how much fun you're having in the Ozarks! Send some pictures of your shopping excursions, or one of your trips to the many shows Branson has to offer. 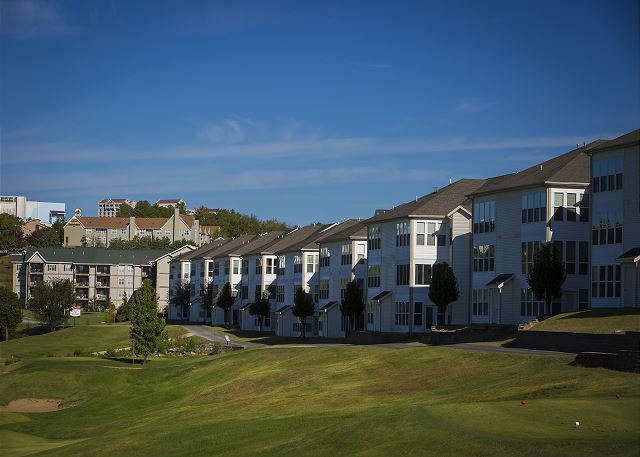 None are too far away from Bogey Nights, being centrally located in the Heart of Branson! After a day of fun, excitement, and scoring eagles on the 18-hole golf course, kick back and put your feet up. WE HAD PLENTY OF ROOM LAY OUT WAS GOOD, AND HAD EVERYTHING WE NEEDED. COULD USE A LITTLE UPDATING BUT WE WERE NOT THER FOR THE UPDATES. THE CONDO WAS IN A GOOD LOCATION. WE WERE VERY PLEASED WITH THE CONDO. Very nice - easy to load and unload as it is a walk in unit - no stairs to fight with luggage. Everything looked like the pictures, was given easy directions to property, key code to property worked great, will probably try to rent this again on my next time off. Location was perfect! No stairs, great. 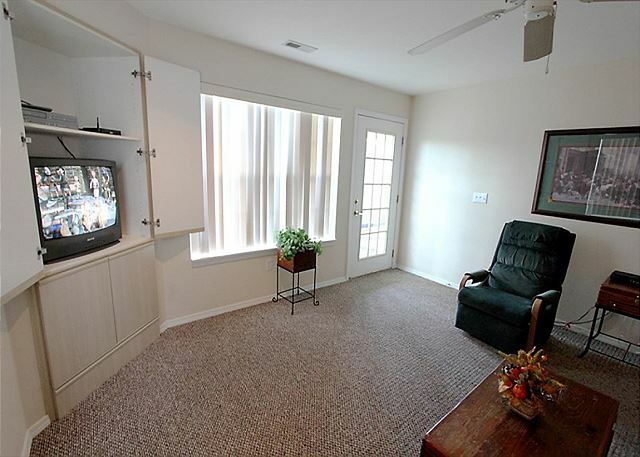 Tbe vertical blinds in the living room were awful. Tbe child sleeping on the pull out sofa had light in his eyes entire stay. King size bed was a terrible mattress. We had 4 wash clothes between us. Yes, we did wash them to reuse. TV is OLD and picture was distorted. We have stayed with yall for years. 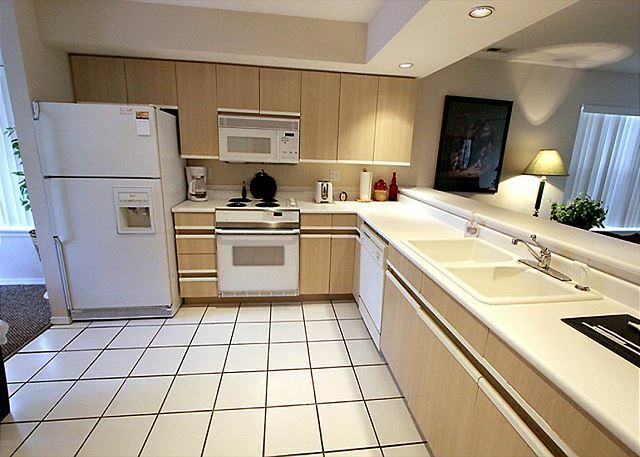 This condo needs updating,BADLY!!! All in all maybe a 5-10, mainly because of location and no stairs. We will decline this unit if offered again. Hello, Joann. Thank you so much for your feedback, we truly appreciate it as well as your continued stays with us over the years. We apologize for the issues you've brought to our attention, and we will be bringing these up to the owners of the property so we can move forward and make some needed updates. For the wash cloths, that sounds like a hiccup with our house cleaners, and we do apologize for that as well. We hope that you'll come stay with us again in the future, and as always, there's a special discount waiting for you. Thank you for your time and patience. Sunset Nightly Rentals took great care of us!!!! The condo is in a great location. 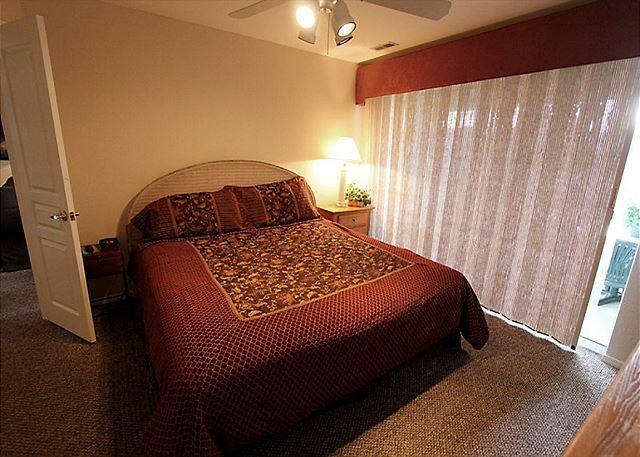 It was spacious and clean and had a great view of the golf course. 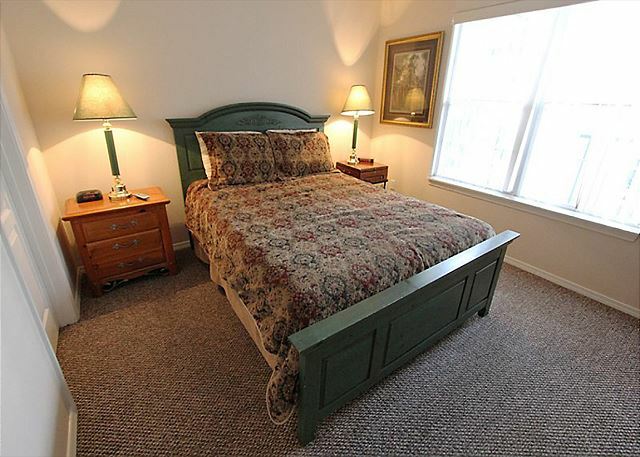 The furnishings and décor are dated, TV's are very old, window blinds are in bad shape and mattresses were a little hard. 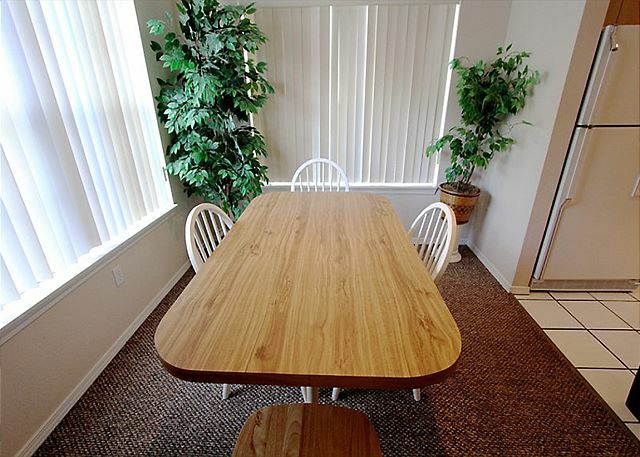 I was told by the VRBO representative that there were pool privileges with this condo and their pictures showed a pool but that was not true - no pool with this rental. Hello, Charlene. Thank you for your feedback! We will be taking your comments into account as we move forward with our owners. We do apologize about the mix-up with the pool, though: this property had pool privileges revoked due to circumstances out of our control rather recently, and there were some issues with getting that shown on all websites. We hope that we can see you again in the future, and we have a special returning guest discount waiting for you! We enjoyed our stay very much. However the TV's need to be updated to flat screen. Since we are an older couple it was difficult to see. Hi, Carolyn! 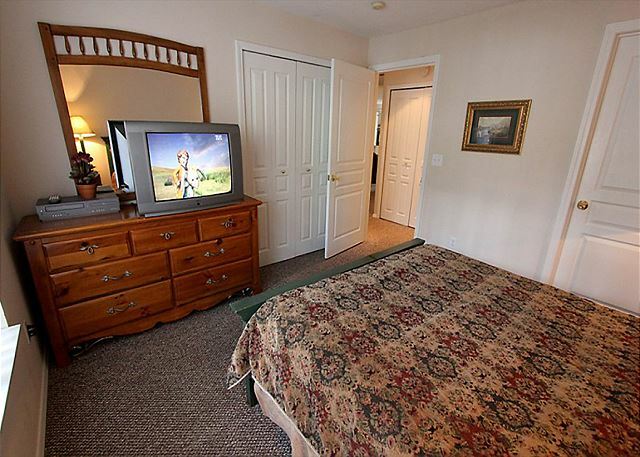 We're glad to see you enjoyed your stay, and we'll pass along your concerns about the TVs to the owners. All furnishings in all our units are at the discretion of each owner, as Sunset does not own any of these properties, we only manage them. Whenever you come visit Branson again, please call us and tell us of any specific items you need in your unit. 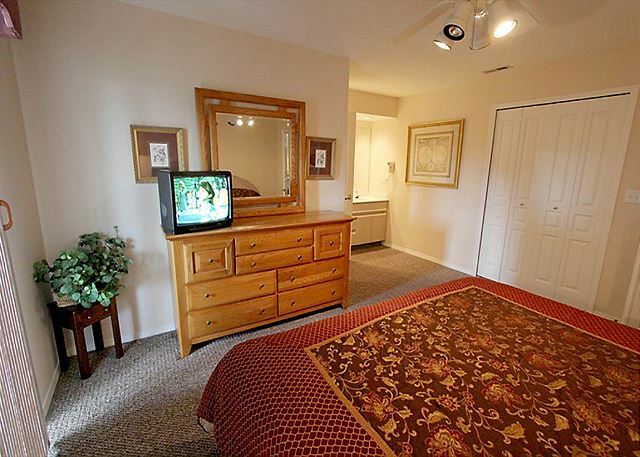 We have plenty of properties which do have large, flat screen TVs, and we'd be happy to find the perfect one for you to stay in during your next Branson vacation! We'd also be happy to give you a returning guest discount on your next stay. Thank you so much for your feedback! Loved everything except the mattresses. The rental is a little dated but everything worked. A very good location. The mattresses in both bedrooms have to be replaced. Hello, Jeff. We really appreciate your feedback, and we're glad that you enjoyed your stay with us. We hope to see you again in the future, and when you do come back, please make sure to tell us about your prior visit so we can give you a returning guest discount! Thank you again for your review. We had a wonderful time and the condo was very nice. Our only complaint would be the beds had some plastic protective covering that "crunched" with every move. Not pleasant. I was quite surprised how comfortable it was. I have no complaints. It was fantastic!! 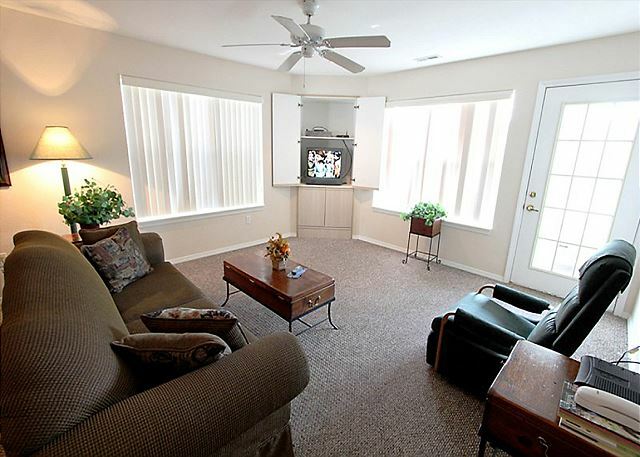 Perfect for a girls weekend away, we were close to shopping and the landing but it was "homey" enough we enjoyed a night in and coffee in the sun room! This ia a great condo. 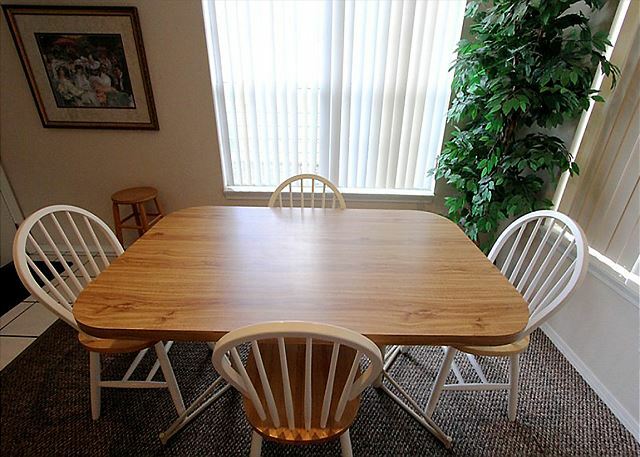 The furniture has been update since the picture was taken. We always try to rental this unit when going to Branson. The accmmodations were excellent except for that recliner chair. As you know my husband has health problems and needed to sleep there. Not in a million years could you sleep in that one ! Everything else was very nice and clean. Hi. My mom and I have stayed at this condo 4 times and we love it. 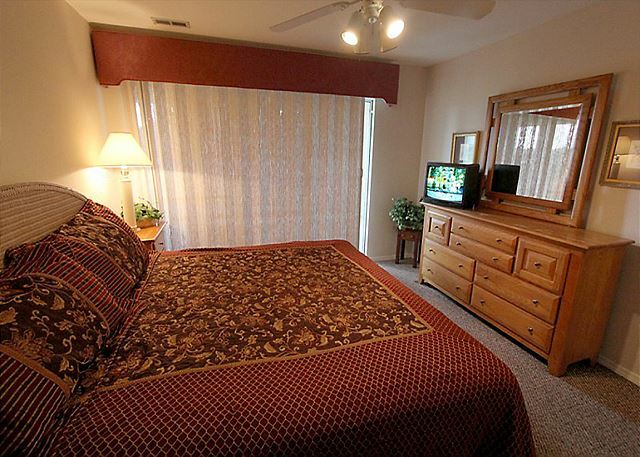 The location is perfect for us, with it being so close to the Branson strip. There are a few things I would like to bring to your attention. I noticed in the 1st bathroom that the walls could use a fresh painting. 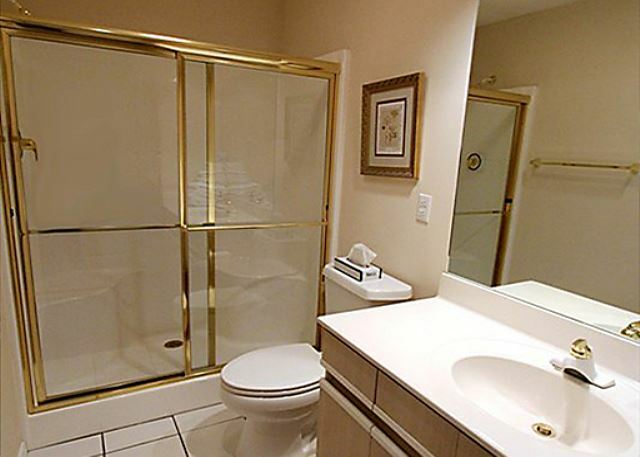 In the master bathroom, the caulk around the tub has some dark spots. We weren't sure it just needs a good scrubbing, or if it was the first signs of mold. The windows on the porch were pretty dirty. It was especially noticeable during the afternoon when the sun was shining in. The mattresses on the beds are getting a little uncomfortable, and last, the couch in the living room is starting to show some wear. The cushion is getting a little lumpy. Please know that these things aren't complaints, and they would never keep us from booking here again. I just thought you should be aware if you weren't already. Thanks again for a great experience and weekend! James J. from whiteville, tenn.
Our experience at sunset rentals was a great one .I would recomend it to all my friends. We love the location of Bogey Nights! We stay here at least once each year. We enjoyed our stay very much the only problem was the worn out matresses on the bed especially in the master bed room. Thank you for your review, Glenn. I will ask the Operations Supervisor to check out the mattresses and get with the owner of the condo to see about getting them replaced. 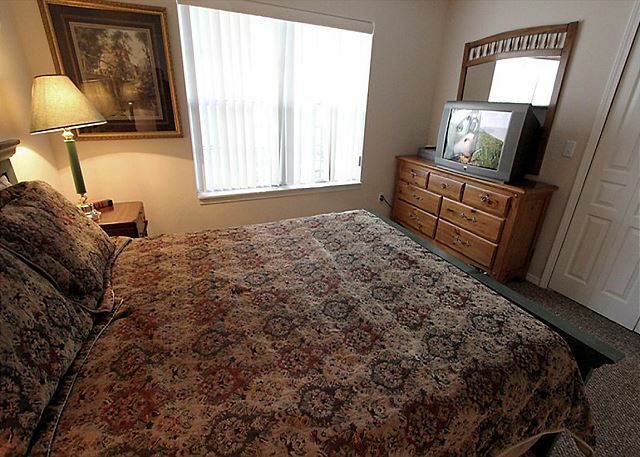 Carpet & furniture very clean, adequate towels, blankets, sheets, soap, etc. 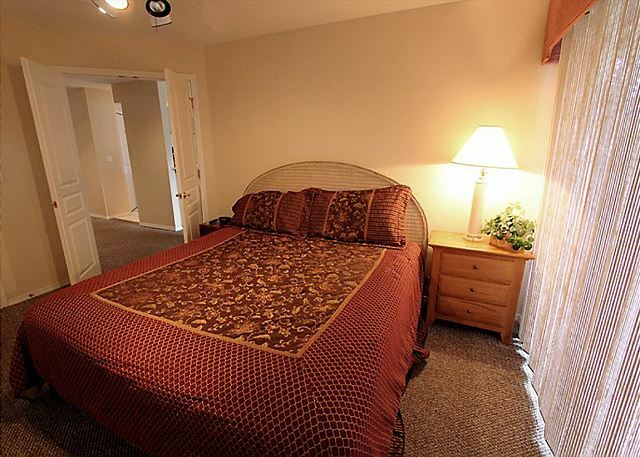 Nice view of golf course, quiet, helpful outside caretakers.Location was close to everything. Pool was open early & late. Rental agent very helpful, photos on line were truthful. Thank you for your review, Rosemary. We are glad that you enjoyed your stay in the Branson area and hope to see you back soon! Beautiful! Very quiet and peaceful and yet conveniently located. Had everything we needed! Thank you for your review, Karyl. We are very glad that you enjoyed your stay at the condo. When you plan your next trip to the Branson area, please mention that you have stayed with us before to receive your Repeat Guest discount. We look forward to seeing you back soon!